WRC LEGEND KANKKUNEN TO VISIT AUST. Home/Ticker AND News/WRC LEGEND KANKKUNEN TO VISIT AUST. ONE of the greats of rallying, four-time world champion and four-time Rally Australia winner Juha Kankkunen, of Finland, will visit Australia as the special guest at the annual Rally Hall of Fame presentation in May. The Australian Rally Hall of Fame presentation dinner will be in Canberra on Thursday 14 May, the eve of the National Capital Rally, round two of the 2015 East Coast Bullbars Australian Rally Championship. Confirmation that the most successful driver in the 22-year WRC history of Rally Australia is returning for a visit follows a hugely-successful visit last year by fellow Finn Ari Vatanen. “Last year’s event proved a massive hit with Ari, so we are absolutely ecstatic to welcome Juha as our guest of honour for this year’s gala awards,” Hall of Fame Committee member Col Trinder said. 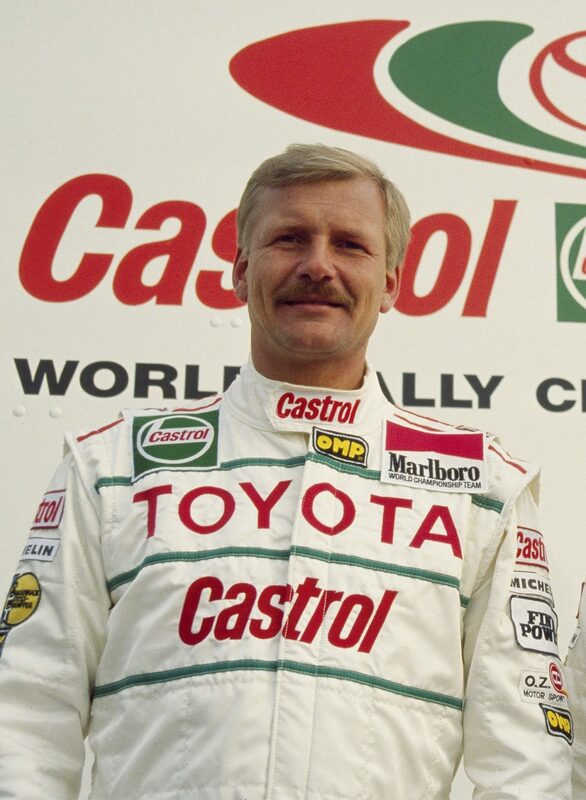 Kankkunen was active in the World Rally Championship from 1983 until 2002. In 1986 he became the sport’s youngest champion when he mastered the almighty Group B Peugeot 205 T16. Then followed titles in 1987 and 1991 aboard Lancia Deltas and a fourth in a Toyota Celica GT-Four ST185 in 1993. He won Rally Australia in 1989 (Toyota Celica GT-Four ST165), 1990-91 (Lancia Delta Integrale 16V) and 1993 (Toyota Celica GT-Four ST185). His feat in winning three driver’s championships with different makes has not been repeated. Kankkunen also has competed in the Dakar Rally, the Pikes Peak Hillclimb and the Race of Champions, which he won twice. Tickets to the Australian Hall of Fame presentation dinner are limited and organisers have urged guests to book early. Tickets can be purchased on-line at http://www.trybooking.com/120856. The price of $160 includes canapés, a three-course meal, wine, beer and soft drinks.